Washington is pressuring Venezuelan president Nicolas Maduro to step down and is urging more countries to support opposition leader Juan Guaido. 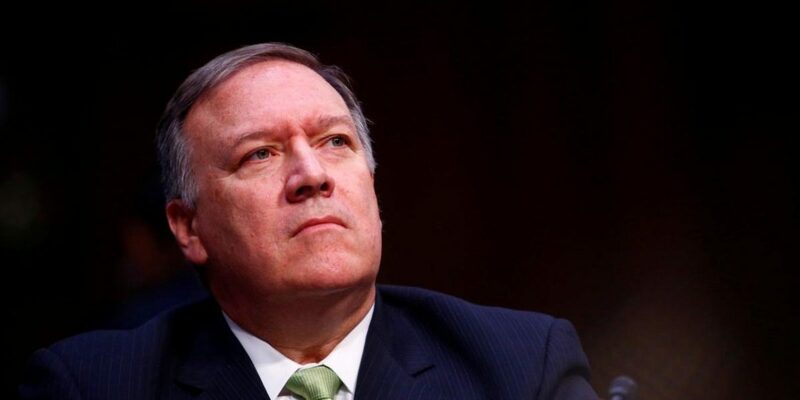 Santiago: US Secretary of State Mike Pompeo on Friday defended sanctions on Venezuela and said that the United States would not “quit the fight” in the socialist-run Latin American nation which is spiralling into deepening economic and political crisis. Critics have warned that heavy sanctions could hurt ordinary Venezuelans, already suffering from hyperinflation and food and medicine shortages. Pompeo said the people recognised the United States was not to blame for the country’s crisis. Maduro blames US sanctions for the country’s economic problems and dismisses Guaido as a US puppet. While most Western nations have recognised Guaido as head of state, Russia, China and Cuba have stood by Maduro. Working under a US warrant, police in Spain arrested on Friday a former general and close ally of Maduro’s predecessor Hugo Chavez. The former general, Hugo Carvajal, has thrown his support behind Guaido and is expected to be willing to cooperate with US officials and share a “treasure trove” of information, a senior US official told Reuters. Asked about China in Santiago, Pompeo warned about “predatory” lending practices and “malign or nefarious” actions, mirroring criticism previous US officials have made about China during Latin America trips.